You will download it directly to your Android. You can find it in "Download" on your phone. The download will be automatically started. If UC browser has warned you about KingoRoot.apk, click "OK" to proceed. 2>> Install the apk file of KingoRoot. When installing the apk file, you may encounter some issues. Whatever it might be, follow the system instructions. You device may only accept app installation coming from its native app store, like Google Play or Samsung Apps. The apk file of KingoRoot is directly downloaded from the server of Kingo and will not be able to install on your device unless you allow installing from "Unknow source". KingoRoot is an exploit-based root tool. If you have no knowledge of "Android Rooting", well, you should. Kingo exploits system vulnerabilities in order that your device can be rooted, which will be considered by Google or Manufacturers as a malicious act. But it is your choice to choose, to root or not to root. On kingo's behalf, the only thing we can do is that to make sure of our integrity and leave the choice to you. 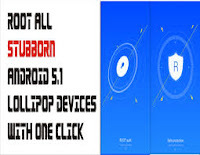 3>> Tap the icon of KingoRoot and press "One Click Root" to begin. Make sure that you have stable Internet connection when rooting with KingoRoot. It is required because the rooting scipts used are stored in Kingo's server. Without it, Kingo will fail to root your device. 4>> Get the result: succeeded or successful..
Congratulation You Have Successfully Rooted Your Device. Please Leave Your Comment If You Successfully Rooted Your Device.